Rob Bell has a new show coming out (trailer). The author and former megachurch pastor will debut his new “The Rob Bell Show” on Oprah’s OWN network on Sunday, December 21st, 2014. According to the early experiences, it sounds interesting. Also coming out are the myriad of evangelicals who are already dismissing Bell. For Rob Bell to team up with Hollywood–original home of the gay agenda–is too much to bear. While there are some who see Rob Bell as functionally sound in the evangelical sense, for the most part, evangelicals are cautious of the former megachurch pastor who denied hell and now embraces marriage equality and has a TV show. But for progressives, the question is: how ought we view The Rob Bell Show? 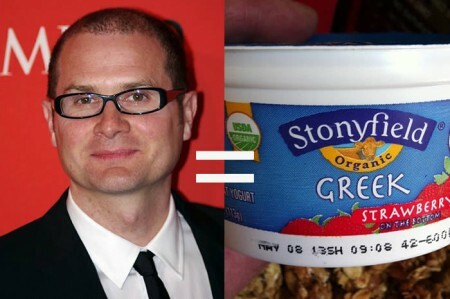 As a progressive, I view this Rob Bell Show like I do organic yogurt at Wal-Mart. In the 2008 film Food Inc that investigates injustices in our food chain, we are introduced to Stonyfield Farms and their line of organic yogurt that is sold at…Wal-Mart. Yes, Wal-mart. There’s a great scene where the CEO Gary Hirshberg is explaining why an organic food company sells its products at one of the biggest capitalistic vultures of the modern world. When I run into my old environmental friends, many are initially horrified by the kinds of company that I’m keeping these days. But when I then go on to explain what the impact of one purchase order from Wal-Mart is, in terms of not pounds but tons of pesticide, tons of herbicide, tons of chemical fertilizer, the discussion–we get away from the emotion and we get down to the facts. I have no illusions about this. I don’t believe that Wal-Mart has come here because they’ve suddenly had a moral enlightenment. It’s because of economics. I can debate with my radical friends all day long, but nobody can challenge the fact that a sale of another million dollars to Wal-Mart helps to save the world. For Hirshberg and Stonyfield Farms, there was an acceptable trade-off to work with Wal-Mart: they were giving financial benefit to a company with terrible economic and labor injustice, but in the process, they were both changing the culture around organic food and removing tons of chemicals from the food chain. It’s a wager: you gamble that participating in an unjust system will spark enough good to make it worth it–at the moment. I see Rob Bell in the same light. There’s a lot to be worried about. He has moved from builder of church community to self-help individualism. He is participating in celebrity culture (a regular cautionary topic on this blog). And yet I wonder if the trade-off is enough to allow a more open sense of spirituality and a fresh take on the conversation to seep into the public consciousness–and to cause them to want more and deeper faith discussion. Is the gamble worth it to see what might happen? Various progressive personalities have participated in the public consciousness over the years but they’ve mostly been one-issue people: Rev. Jim Wallis and his “budget is a moral document”; United Methodist laity Bill McKibben and climate change; Sister Helen Prejean and the death penalty; Bishop Minerva Carcano and immigration reform. That’s not a bad thing, of course, but hardly equivalent to what Bell is trying to do with having a new forum for conversation about faith. …towards a more diverse public square? We don’t often have these moments when the media has something worthwhile for progressive values. Progressives may feel like we are passive recipients of the Christian Entertainment Industry. We may feel powerless to take on the Evangelical Industrial Complex. We may feel too tired to write letters when Beth Moore has a new book out. But these shows and events keep taking place because people keep watching. Two can play at that game. If progressives tune in, if we engage, and if we discern that the show might be a forum for transformational discussion, then we create the market. If we show them that there’s a market for open faith discussion, then imagine what might come up! Instead of a solely right-wing Christianity being seen on TV and heard on Talk Radio, and the occasional straw-man progressive invited onto a slanted show, imagine what might happen with a more diverse public square. I’m not saying Bell will be able to do that by himself, and I’m not pre-emptively saying the show will even be good. What I’m saying is that if it is good enough, then we have an opportunity to create the demand for a more equitable public square for faith discussion. The irony is that the average consumer does not feel very powerful. They think they are the recipients of whatever industry has put out there for them to consume. Trust me, it’s the exact opposite. When we run an item past the supermarket scanner, we’re voting for local or not, organic or not. Like Stonyfield Farms and Wal-Mart removing tons of dangerous chemicals from the marketplace, I believe Bell has the potential to also remove the toxic chemicals from the air that suffocates Christianity, relegating us to one political party, one way to heaven, and one losing side of the generational divide over LGBT inclusion. There will be theological minefields, there will be challenges to orthodoxy, and he may even be too “out there” for this progressive Christian. But until I taste the yogurt and see it’s actually gross, I’m going to celebrate Rob Bell taking just a little bit of attention away from reactionary monolithic Christianity and putting it towards something that could be transformative to conversations about faith in the public square. Thanks for reading–and tune in on OWN on December 21st to see what the fuss is all about! I’ll likely be live-blogging it on Twitter if feasible. Not sure about the yogurt but the logic sounds right. Rob Bell has had an awakening over the past several years. He used to be anti-gay, today he talks about inclusion. He speaks using words that aren’t indictments or forms of Christian slaps in the face. I’m really excited he’s found a bigger stage. It’s time. We progressive Christians need more public super-heroes. It’s a ‘consequence-based’ ethical decision, rather than a ‘duty-based’ decision – we all need to find a middle ground between purism (duty) and looking only at consequences to justify our ethical decisions. As Jim Nash used to say, ethics IS a slippery slope! We are called to these murky middle grounds to try to find ways to bring healing to the world – just as we are called to be politically engaged, and NO ONE will argue that politics is pure! Nice job, J.